This cozy one bedroom cabin is the perfect getaway. Its heated, has Air conditioning. There is a microwave, fridge, and sink. 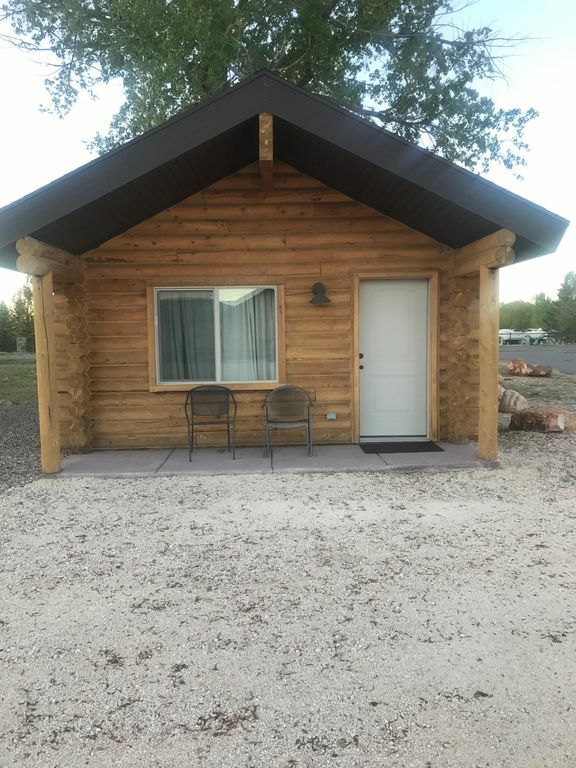 Close to everything fun in Bear Lake, its located about 100 yards from the famous Pickleville Playhouse. Have a fire, roast hot dogs and marshmallows. There is plenty of parking for your boat and toys. It has Direct TV. Enjoy the beach and water, take a trip on the RZR... Whatever you want to escape too!! Nice location, has everything you need when camping at the lake. It was clean and plenty of room for us. We only had 2 people and a medium sized dog. We were given our privacy which I really enjoyed. Great to find a pet friendly place to stay too!